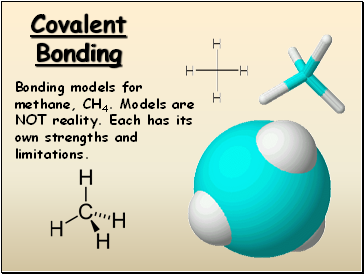 Bonding models for methane, CH4. Models are NOT reality. 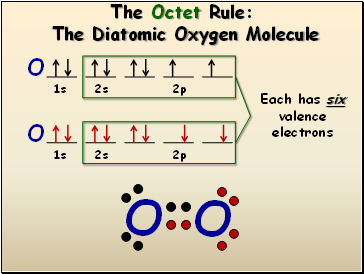 Each has its own strengths and limitations. 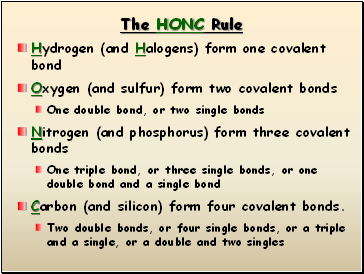 Students know chemical bonds between atoms in molecules such as H2, CH4, NH3, H2CCH2, N2, Cl2, and many large biological molecules are covalent. 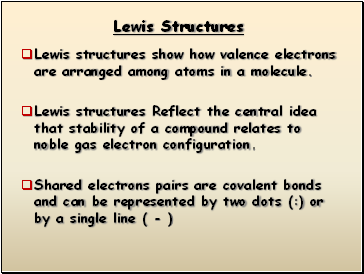 Students know how to draw Lewis dot structures. 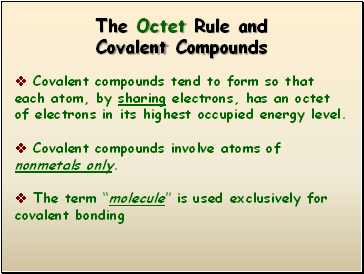 Covalent compounds tend to form so that each atom, by sharing electrons, has an octet of electrons in its highest occupied energy level. 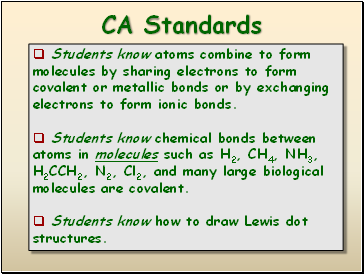 Covalent compounds involve atoms of nonmetals only. 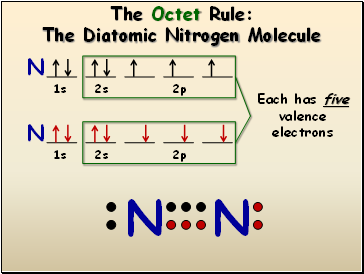 Lewis structures show how valence electrons are arranged among atoms in a molecule. 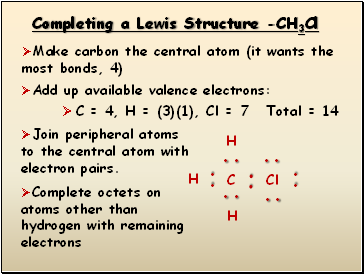 Lewis structures Reflect the central idea that stability of a compound relates to noble gas electron configuration. 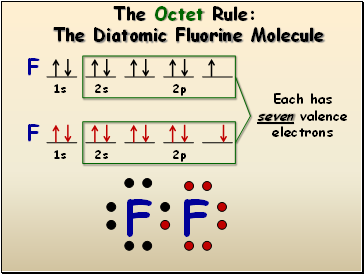 Carbon (and silicon) form four covalent bonds.